Being the technological and qualitative leader in the market of Holograms and holographic products rests on our shoulders, and we continually strive to retain this position, by constant innovation, attention to detail and constant focus on client specifications and design. Our contribution towards counterfeit prevention has gained us international repute. We ensure that our clients do not loose genuine revenue, nor is their qualitative reputation tarnished, this is mainly attributed to our counterfeit prevention systems. We are one of the very few reputed companies worldwide manufacturing the complete range of Holograms and Holographic products in house under state-of-the-art, technologically advanced machinery . With the help of a specially developed computer-aided system, we manufacture and supply any order - regardless of volume and specifications. We have a network of offices (Hologram Dealers) in the main cities of India and overseas Business Partners to ensure that we are never too far from you, to service your needs. The only sign of genuinity is a hologram affixed to your product telling you that go ahead buy me, I am genuine. Today when millions of consumers worldwide purchase a product with a hologram affixed, they are assured of the genuinity of the product. The consumer may not pause to remember us. But our satisfied clients do. Because we have assisted them in many ways in increasing their brand equity, sales and profits. And above all, ensuring an untarnished image. Our Innovation has resulted in our repertoire of products like holograms, hologram labels, holographic seals, holographic packaging or holographic customized solutions, we have been instrumental in creating diverse applications of holography. We are better poised to offer a entire portfolio of holographic solutions and the most innovative and diverse solutions to all duplication and counterfeiting problems. We are your single stop solution for the right hologram manufacturer, you need not look any further. Quality, Service, Technology, cost effectiveness, precision, quality, on time delivery and Value for Money, you name it we provide it. Holograms Inc is headquartered in the Silicon Valley of India – Bangalore. Our capacity to manufacture mind boggling numbers and varieties of products on time, and under stringent quality norms, is mainly due to our state-of-the-art, technologically advanced, infrastructure. We manufacture here holograms, 2D holograms, 3D holograms, and complete range of holographic products under one single roof. We have the infrastructure and all the facilities to produce holograms as per International quality standards and also the expertise to produce the most complex of Holograms in the industry. We plan to expand our product range with new investments and ensure that our customers receive the latest technology available. We also possess the latest and the most advanced machinery to offer our clients the latest technology available. 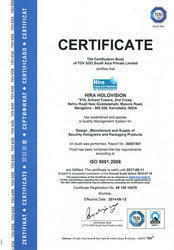 We are one of the tuv-sud certified iso-9001 2008 company. We acknowledge that our surge in international prominence as a quality and innovative supplier, who consistently supplies on time, would most definitely not have been possible without our team of professionals from different disciplines including R&D, engineering, marketing and others, whose combined their expertise with world class production techniques to offer a wider variety of holographic products. 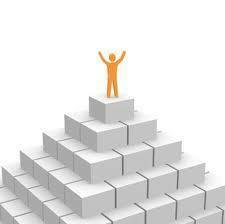 As a professionally managed company we are armed with a team having loads of experience in their respective fields. Since our emergence as a market leader, our clientèle pan-India and across the globe has grown exponentially. Our focus on client satisfaction and continual improvement in quality and service levels have left us with a large repertoire of satisfied clientèle with repeated orders globally. With our determined and persistent approach to provide superior quality Holographic solutions, we have successfully managed to develop a commendable base of many customers all over the globe. Our wide customer base includes Central Govt., State Govt., Public Limited Enterprises, Private Organizations, Leading MNCs and various large and small corporate organizations., small scale industries for commercial, internal, retail and domestic applications.